WOW! Women On Writing Blog: How Much Does It Really Cost to Self-Publish? For those who decide to self-publish for the first time, the first question is usually about the cost. An understandable question, but one that’s hard to answer in a conclusive way. It is like asking how much it would cost to buy a home. The cost of your home will depend on size, build type, interior features, exterior features, location, and so on. For less than $100 you can pitch a tent somewhere and call it a home. If you’re looking for an impressive home on the beach, you’re going to spend a lot more. When it comes to self-publishing, your costs will depend on what you are willing (or able) to pay for quality, prestige, and positioning in the market. Trade publishers typically invest a minimum of $10,000 to several thousands of dollars on a single title. This investment doesn’t even include the advance paid to the author, which can reach close to a million dollars for a celebrity or well known author. Your costs will rise if you need additional edits, indexing, custom illustrations or photography, have a complex interior with images or charts, have a full color interior, have a substantially more than 200 pages, print offset instead of on-demand, etc. All-in-all, a truly professional job of preparing your book and putting on the market will average a little over $3000 to almost $5000. 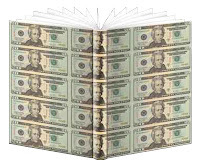 Less than a trade publisher may invest, but still enough to give your book a solid chance in the marketplace. You do have cheaper options. You can edit your own work, design your own cover, format your own interiors (print and e-book), use an ISBN supplied by Createspace, and skip buying inventory for promotion and direct sales, etc. This would drastically cut your costs. You can also use freelance job boards and hire someone who offers publishing services for a lot less than average rates. What you will have to decide is if you’re going to pitch a tent – or build something with a solid foundation, that has quality features, and places you where you really want to be. I self-published my first novel for next to nothing, so it's not surprising that I've /sold/ next to nothing as well! I'm not going to publish my second one until I have the capital necessary to launch it like a "real" publisher. As a web developer by trade, I can do the cover design, e-book and print formatting myself. Good stock images can be found for $0-$15, and I already have the graphic design software. I edited the first book myself, but honestly, paying for a dedicated fresh pair of eyes is important. No matter how much of a perfectionist you think you are, you /will/ miss things when you glance over the manuscript for the hundredth time. Your brain will skip over misplaced hyphens and fill in words that aren't on the page. But the one cost you really can't skirt around is marketing. Sure, there are one or two darlings who shot to the top of the charts without lifting a finger, but they're one-in-a-million. There are some affordable ways to market that pack a big punch, like a free Kindle promotion or a Goodreads giveaway, but those only give you a small, temporarily bump in popularity. To get a steady stream of fans, you'll need exposure on ads, blogs and newspapers, which means sending out ten ARCs for /maybe/ a single review. T.K., you're right. Publishing a book is only half of the process. Equally important is gaining exposure (marketing / promotion) to drive sales. If no one knows the book exists, or given a compelling reason to buy, the game is pretty much lost. My next post on the Muffin will talk about this. Sounds like someone 1) trying to sell services. 2) Trying to prop up the rightfully dying traditional publishing industry. Or someone who wrote this article in 2003, and blipped it into the future. In either case, the obvious alignment of inexpensive options with "pitching a tent", reveals a clear bias against seeking out more options for the independent writer of lesser means. Totally unhelpful piece with an absolute lack of insight. That was a pretty rude comment. No wonder you want to remain anonymous. As far as the numbers, you can easily verify what a block of ISBNs cost. Sure, you can probably find cheaper editors and designers, but you will still need to pay for those services if you want a halfway decent product. I think you're missing the whole point of the article. Deana has been in the independent publishing business for many years and wants to prepare authors who are deciding to self-publish. Some writers think it's a walk and the park because they hear the media hype about those who made a million in a year from selling a book by just putting an ebook up on Amazon and social networking. In truth, those are very unique stories, and there's more to them--like the author has a series of books that they put out all at once and that's why they were able to make those numbers. But the reality is that self-publishing and marketing--doing it all yourself--is tough. She wants you to prepare yourself financially so you aren't blindsided by expenses once you decide to take on the challenge. And that's helpful. I've just published my memoir and my numbers are a bit lower than this but certainly in the ballpark, Deana. 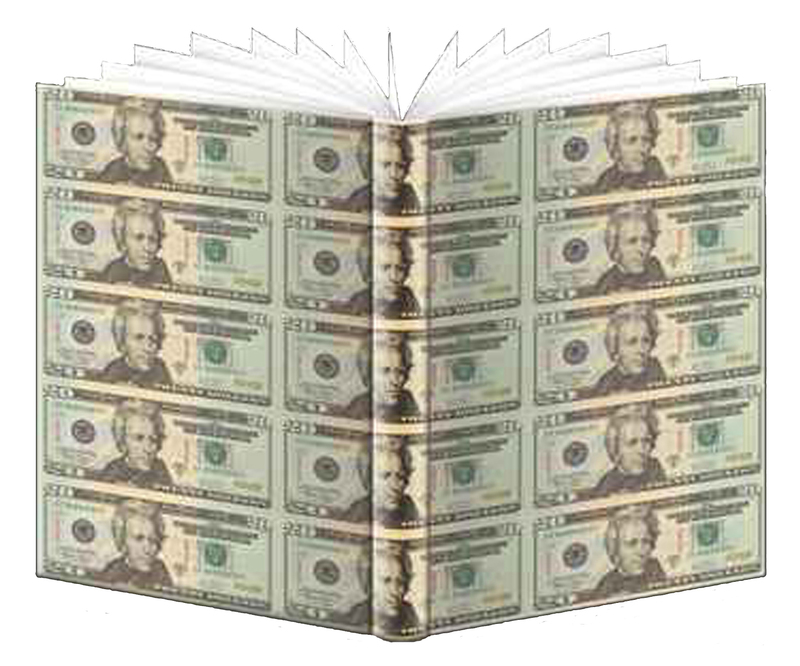 It's important for other writers to know that there is a cost--both time and financial--when self-publishing. We owe it to ourselves and our readers to put out the highest quality product we can. I liked your comment about pitching a tent vs having a solid foundation too. I'm not sure Anonymous read the same post as the rest of us. Perhaps a bit defensive? Deana--thank you for giving the facts. As a freelance editor, I know that people are often shocked when they discover how much it is to get a book edited. It takes a lot of work to edit a book. I think your numbers are realistic and helpful. Thanks to the others leaving their experiences, too. I will remain anonymous here in defense of traditional publishing. No single person has ALL of the skills to release a book without at least SOME help from others. I have a series published with a small press. Had I tried to do it on my own, I'd have sucked at editing and cut myself out on great relationships with other authors on the press who have helped me soooo much with marketing ideas. We shoulder the weight together. Even if I had tried to do it on my own, I still would have had to pay an editor. My manuscript had thousands of errors that I never caught! ha ha But my press editor caught them.